Thank you for letting me do a reading for you. I’ve asked our guides for their help in your reading regarding your wishes to have children and also your life purpose and direction. I’ve decided to give you both readings just to help out. 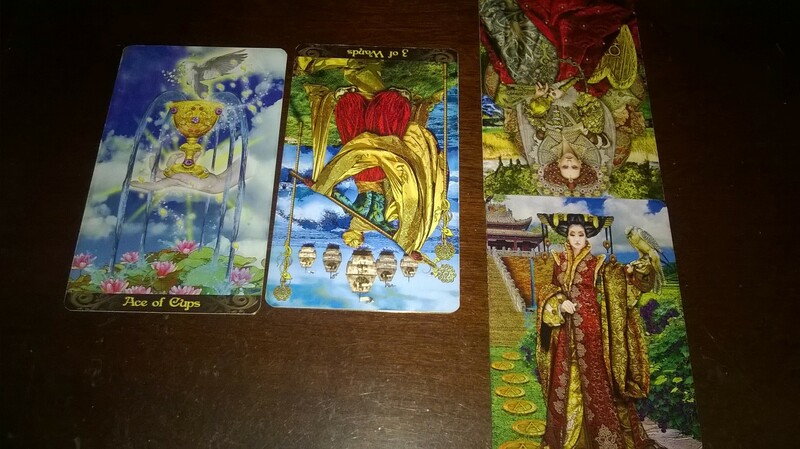 I’ve drawn 7 cards: Regarding Children: Ace of Cups, Three of Wands, Empress (reversed), Nine of Pentacles – Regarding purpose and direction: Seven of Wands (reversed), High Priestess (reversed), and Five of Cups (reversed). It seems that you’ve had these aspirations to have children and the thought of loving a child because you have so much love to give. You’ve been experiencing blocks of having children as the Three of Wands suggests mismatched goals with others or bad timing. Does it always feel like there was a block to having children that things got in the way or wasn’t the right timing? The reading shows that it’s possible the motherhood may not be your destiny and that you are meant for other things. Sometimes it’s to fulfill a role of aunt or other family who needs you. Trust that there is a reason for it all even though it doesn’t go the way we hope or wish. Another card had jumped out and it is meant to be read that you are supposed to enjoy your hard work and efforts later in life, even though it may not mean children, there is a good future ahead with enjoying your efforts and could mean traveling the world that you may not have done if your life turned out differently. You are a creative person either in writing or art or other outlet. Maybe this is what you are given the freedom to do or explore. Regarding purpose in life, I’ve pulled 3 cards and they seem to be life lessons you have yet to master. 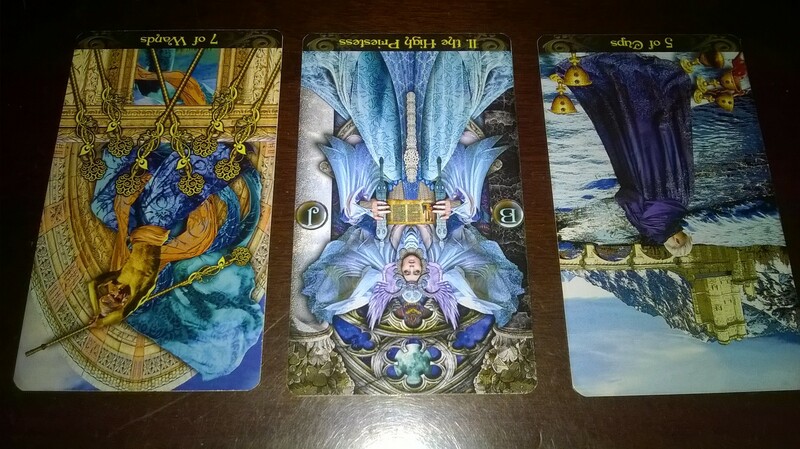 The 3 cards are reversed which indicates blocks in life lessons, that once cleared, your understanding of life will be easier and you will see the direction you are looking for. You may look back at your life to see the patterns to link with these lessons in the past. The reading shows that you may need to learn to stand your ground, that to keep the peace, you may not want to stand up for what you believe in. You may not be able to make decisions because you are relying on what other people say. This could be connected to the beginning of this part of the reading with not standing your ground. You may have felt a feeling of discomfort which is your intuition giving you direction. Once you begin to listen, it will be more easier to hear and follow. Maybe something of the creative nature is where you need to follow. The last lesson is to recover from disappointment or regret. This may be in connection to your first question that if it not destined to happen, that you will understand and realize there are other things like a silver lining through the disappointment. It shows in the future, you will understand why things have to be this way.